There are two main methods for brewing with an Aeropress – the classic, and the inverted. For the classic method, insert a filter into the mesh plastic holder, and screw on to the main tube. 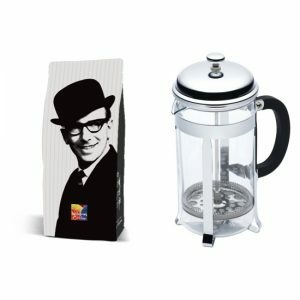 Put however much ground coffee you would like into this tube – the provided scoop is about right for one cup. Then, the bloom, the most important part! Pour a small amount of water (preferably at around 93 degrees) on to the coffee, and stop to allow it to expand, releasing all the gasses and allowing it to really open up. After about 20 seconds, pour on the remainder of the water until the tube is full, and then stir gently, preferably with a bamboo stirrer. Wait to allow the coffee to brew for around 3 minutes, and then plunge slowly with consistent pressure. To use the inverted method, insert the plunger into the main tube first, then follow the same brewing instructions. Once brewed, attach the filter and mesh filter holder on to the top, put a cup on top of that, and turn the whole piece of equipment over to plunge!